An individual time trial is a straight-forward discipline that is used as introduction to cycling races in many countries. 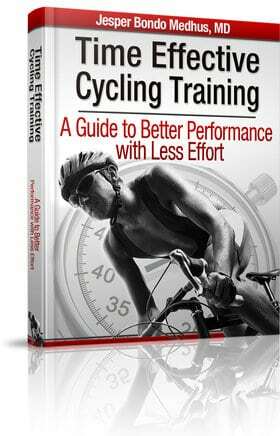 After a short introduction to the simple rules beginners are able to ride a fair time trial. Nevertheless, time trials are difficult to master and even professionals can improve their time trialing significantly. It’s hard to understand that one rider is much better at the major events like the prologues of the Tour de France and World Championships than his opponents. How can we explain the superiority of Fabian Cancellara? 1. Optimal Anatomy. Big riders perform better on flat time trials. More than 90% of power output is used to break the wind. Wind resistance is enemy number one in time trials. Nevertheless, obesity will always be punished so time trialists should be slim and fit like all other cyclists. Weighing around 80kg seems optimal for flat time trials, but lighter athletes can ride really great time trials. 2. Extraordinary Physiology. Like all other professional cyclists Cancellara must have an extraordinary physiology. One specific skill that must be superior is the threshold power. He is able to generate many Watts at his threshold power. 3. Perfect Body Position. An optimal body position minimizes the aerodynamic drag, thus, requiring less Watts to ride fast. Actually, body position is where you can make the biggest improvements on your overall aerodynamics. So, if you don’t have the budget to buy an expensive aerodynamic bike, please remember that a good body position is much more important than e.g. disc wheel etc. 4. Aerodynamic Equipment. Optimized aerodynamics includes proper materials that are optimized for body size, riding style and aerodynamics. I’m not sure whether Cancellara’s materials are any better than other professional riders but one thing that surely matters is that he continually optimizes his aerodynamic equipment. Visiting a wind tunnel is the best and most scientifically way to find the right combination of bike setup. 5. Mental Power. Racing against the clock is a special dispipline that some riders love and others hate. Being good at pacing yourself throughout a time trial is a skill that should be trained and mastered to become a world class time trialist. 6. Specific Time Trial Training. Cancellara trains specifically for time trials and the training is optimized towards improving his threshold power. It requires a great training amount and high quality training principles over years to develop a large aerobic engine. 7. Tapering for Major Competitions. Instead of focusing on great performance in races every single week, it’s important to give the highest priority to very few events throughout the season and make a proper tapering protocol for these events. That increases performance and the likeliness of success. 8. X-factor. History shows that some riders just ride much faster than everyone else and we will never be able answer why. I know what many people think about professional cyclists and I have the same thoughts regularly. Though, we have to remember that one athlete always will be the fastest. That’s the game. Thus, there might be other reasons than doping that will explain why riders like Fabian Cancellara is so much better than everyone else at time trials. If you have any suggestions, please share your thoughts in the comments section. Another thing about TTs is that they are often analyzed individually, while they are typically part of the stage race (leaving prologues aside for a moment). And they are strategically placed towards the ends when everyone is very tired. TT guys maybe don’t work so hard on mountain stages (often they are not GC contenders) so another argument is that they are more rested perhaps … But then, some riders have fascinating ability to recover (physically and mentally) and perform the top TT next day. For example, A.Contador riding a faster TT than F.Cancellara on TdF 2009. Similar goes for L.Armstrong in his earlier years. TT is a Science, most certainly so if you take into account all involving elements in this game. One thing can be observed though, TT performances are not on the attractive side comparing Ulrich times, Lance etc. There were battles for supremacy in all fields in the same time. Today we compare Apples with Pears. The undisputed Superiority of Cancellara in these times is also a sign that TT is not as attractive to Pro World now, as is Winning Stages or Tours. I mean to say that observing other riders in TT’s , they perform one class lower next to Fabs, since no one is realy a specialist. Fab is. And he is also Intelligent to give a surprize (8+1=9, this one can be added too) from a stage to next one, depending on terrain and form. Teams want more Allrounders, my perception. A specialist will be needed if its a sprinter or a climber. Those profiles sell bikes. With the newest TT frame technology, a lot of riders do not even know what TT is about anymore. Speed is attractive. Bureaucracy not. TT frames are not even available to public, as they are raced at times. Not fair to the rest. These issues are a kind of put-off for many people, so i think it should be ironed out so we generate more interest and diversity into the game. I can see Cancellara doing a superb job in a TT, that is his especialty, but Contador? No, no way, he is a pure climber, he should not have been able to beat Cancellara in a TT. Contador must be on dope that has not been release to the market, thus it is untraceable. I think that in order for teams to hire more TT stars, the grand tours have to change. If, there was a jersey for best Time Trialist and a big cash prize things would be different. Smaller tours would then be inclined to follow them, there would be more amateur individual TT competitions, thus more demand for TT frames. Also, individual TTs are so boring to watch, it would be better to release 3 guys at the start line from different teams and let them fight to the finish. No drafting allowed. Can only pass in determined areas of course. TT competitions have to be redesigned. Until then we have continue to see Fabian C win more TTs because the Team directors prefer the save their TT guys’ energy to support the GC guys. @Emil – Cancellara has won prologues and world championships with a huge margin. These events are for fresh riders who are fit for the event. It’s clear that the second time trial in Tour de France after 19 days racing is influenced by previous stages, motivation, recovery, starting list etc. @Jusuf – You’re right that among many professionals time trials are not that attractive. Though, I guess winning a world championship or just a medal, is quite attractive. Thus, I think there is still an impressive competition and that’s why I think it’s interesting to guess why Cancellara is so much stronger than everyone else. @Adrian – A special jersey for the best time trialist in GT would put a lot more focus on time trials. I guess that such a jersey would make more riders (and teams) concentrate on time trials. Until proven otherwise my view is to not to include doping in discussion. I’m not trying to say that Contador is better or equal TTer then Cancellara – no doubt that Cancellara’s absolute TT power is superior. What I’m saying, (and I believe that the results show) that if the TT is not pancake flat and/or everyone is not fresh (TdF Stage 19), Cancellara’s large margin melts quickly. How I see it, the large winning margin happens only when the conditions favor Cancellara – (pancake flat course/fresh) – Beijing Olympics for example. But, if the course tilts a little bit in one section (and watts/kg kicks in for a tiny bit), then, very quickly other riders start to get in the mix; Levi, Contador, etc. And, the fact is that TTs with small climbing sections are not that unusual (obviously I’m not referring to the Plan the Corones TT climbs or Cinque Terre Giro 2009 TT – that were indeed unusual – just a small false flat section appears to make a big difference). @Gray – It’s great to hear that you get better and better throughout the season, but that is not an argument that you wouldn’t benefit from a short tapering. 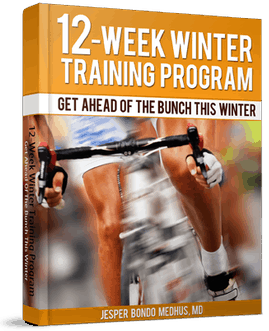 You might have won more races with periodization and tapering. We will never know. Congratulations on your win, you earnt that. On the subject of tapering, without knowing your exact training regime, I would imagine each week had a pattern on training intensities which included a degree of tapering e.g. race, recovery ride, interval, tempo, easy, race etc. In this sort of micro training cycle its not quite as obvious as tapering for a stage race or 100 miler. I get your point though. TT Olympic time trial flat??!! What about the slipstream that benefitted AC in the Annecy time trial??! One of the best curve/turn techniques in the field, seems to be missing in the 8 points. Furthermore, one of the fastest descenders. Bejing or Tour de France 2009 and Tour de Suisse 2010 prologue won in the descent. sorry, the slipstream of the motos I forgot to include above. That was outrageous. Even FC mentioned it to the media. Good point about curve/turn technique & descending. FC is brilliant there while many others (and AC especially) are not. The one thing people haven’t mentioned is a genetic component called lactic acid tolerances. It is the ability of the muscle to continue to operate at high output even with a build up of lactic acid. It is something that climbers are noted for having (lance having had the best ever in his prime) but it could also be influential in a TT. That could explain AC’s surprising time trial skill. It in theory would allow a higher max wat output for a prolonged period of time under oxygen deprivation, sounds like a TT to me. In running track events say 3000 m to 10000, we see runners consitently better than others at a given distance and worst at another distance . My guess is everyone wants to be a winner at something so they concentrate their training/ego on what they think they can win. Over time this focus pays off. FC could win at numerous aspects but focuses on TT. Humor me and assume I had the same fitness as FF. Why would he beat me? better sense of pace, body position, team mechanics fine tune his bike better than a team mate, better line on corners, more TT spefic training, better visualization of winning, more energy from cheering crowd, more ego on the line, etc. This modern concept of bike racing is all about watts/drag is crap– its a game with thousands of varibles– other wise its just unemployed pe major trying to be physics major! I miss the human drama of basketball where everyone knows Jordon will sink the last shot with no time left– how come noone can stop him? AC was probably faster at the end of the Tour because of recovery. The tour winners do not fatigue as fast and recover very well, thats one of the reasons they win 3 week races. I bet Fabian’s big, muscular legs were more like anchors than pistons after 20 days of racing. I wonder, what would his BARE SPEED BE with NO TT GEAR BE-on DROPS (normal bike)?? Q: what would the AERO GEAR be Worth (in terms of km/h)??? Sometimes, even the change in winds can decide the winner of am individual start time-trial. Personally, I don’t know why they are so fast. But I am gladly amazed at just how fast the best time-trialists are! I have read articles about those that have trained professionals – one in particular about Radioshack/Leopard/Trek athletic coach. One very interesting component that that coach wrote his article about was flexibility. Cancellara’s positioning and ability to hold his great position is due to his elasticity and ability to generate power while being in a stretched out position for long periods of time. The other rider discussed from the same team was Andy Schleck, who is no doubt, well known for losing races due to his inability to time trial well. The author said that Schleck was NOT very flexible and thus could not generate big wattage like Cancellara. It was something they were trying to improve with Schleck but he is very stubborn and likes to concentrate on climbing. I am curious about this train of thought and am wondering if there are any other thoughts in this avenue. It is my intention to increase my own flexibility first-hand to see if I can get any positive results. Now Tony Martin is the dominant TT-Rider. He beat Cancellara already in the TdS TT 2010, but now, especially in 2013 spring season he is as dominant as Fabian in his best years. One reason for that is his improved Position. Look at how close his elbows are on the handlebar. They almost touch each other. Are Recovery Rides just as Important as Regular Training?